Pride of ownership shines through in this spacious 5 bedroom, 3 bathroom, 3, 120 sq. ft. home located in the desirable Treelake neighborhood in Granite Bay. In the formal living room, you will find large windows with plantation shutters, high ceilings and a few steps up into the formal dining room. The open/bright kitchen has a prep island with gas cooktop and dining bar, stunning antiqued white cabinetry, and breakfast nook. The family room is sure to be one of your favorite places to snuggle up near the cozy fireplace. The luxurious master suite has a double-sided gas fireplace, bay window sitting area, and vaulted ceilings. The spa-like master bathroom features two vanities, a jetted tub, separate shower, and a walk-in closet. You'll appreciate the convenience of a large indoor laundry room with plenty of cabinet and counter space and a utility sink. 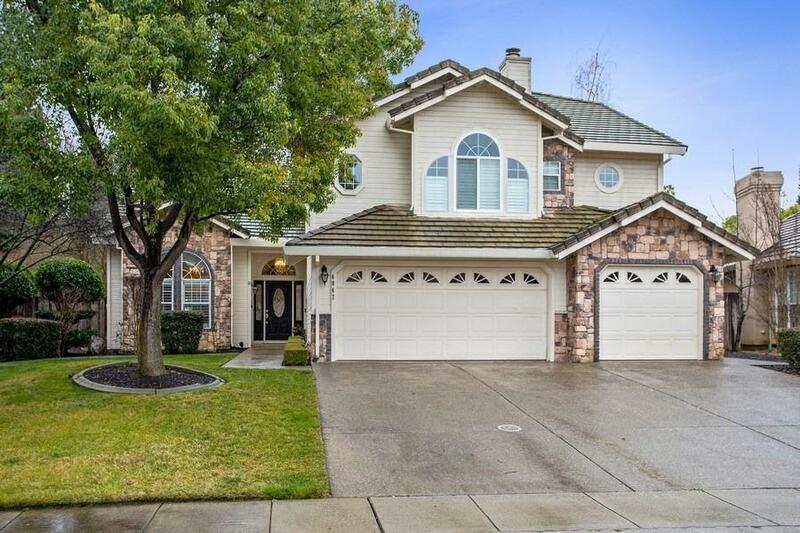 Excellent location within the highly-rated Eureka School District close to Roseville, shopping, dining, and more!